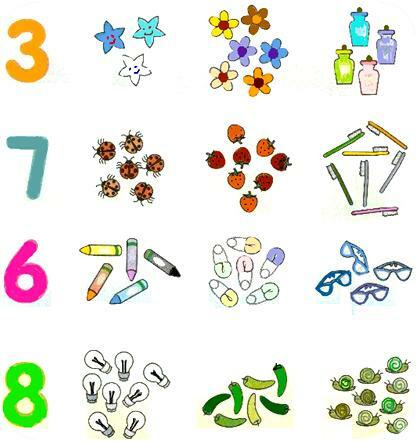 Numbers up to 10, let’s count the set of pictures and then circle the correct number mentioned. We will learn evaluating the number value. Compare the object by counting. The child identifies numbers and counts using concrete objects. In this kindergarten math lesson plan of numbers kids will learn to identify the numbers. Free kindergarten math printable worksheets are available for kid’s and even parents and teachers can encourage and suggest the child to practice the kid’s math sheets so that they get prepare for kindergarten math test. If student follow Math Only Math they don’t need any other help they can improve their knowledge by following the explanation and practicing the kindergarten math worksheets. Kids math homework help is also available here, if any doubts you can contact us by mail. However, suggestions for further improvement, from all quarters would be greatly appreciated.